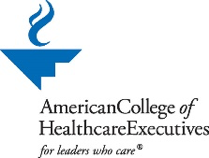 Many FIU students enrolled in our Health Services Administration programs are members of the American College of Healthcare Executives (ACHE). ACHE is an international professional society of more than 40,000 healthcare executives who lead hospitals, healthcare systems and other healthcare organizations. ACHE's established network of more than 80 chapters provides access to networking, education and career development at the local level. ACHE also offers its prestigious FACHE® credential, signifying board certification in healthcare management. Visit the website to apply or learn more about the benefits of student membership in the ACHE.